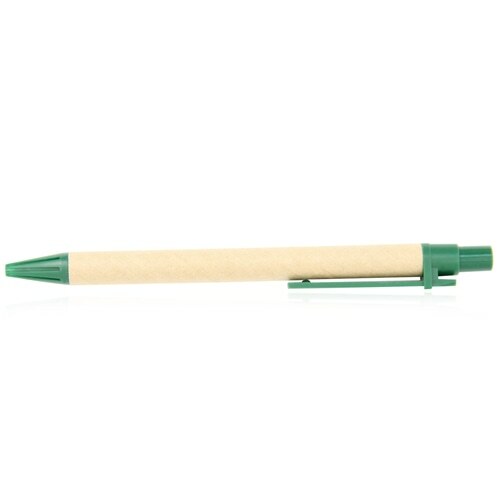 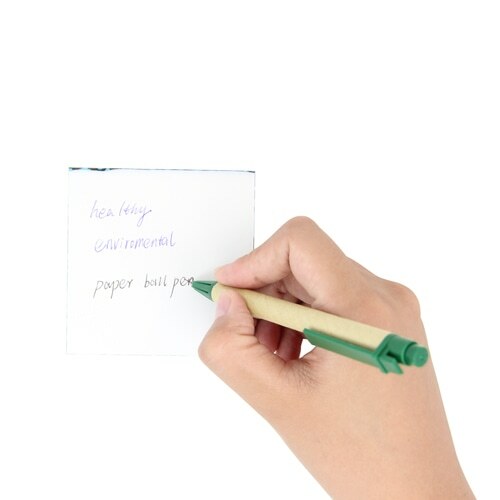 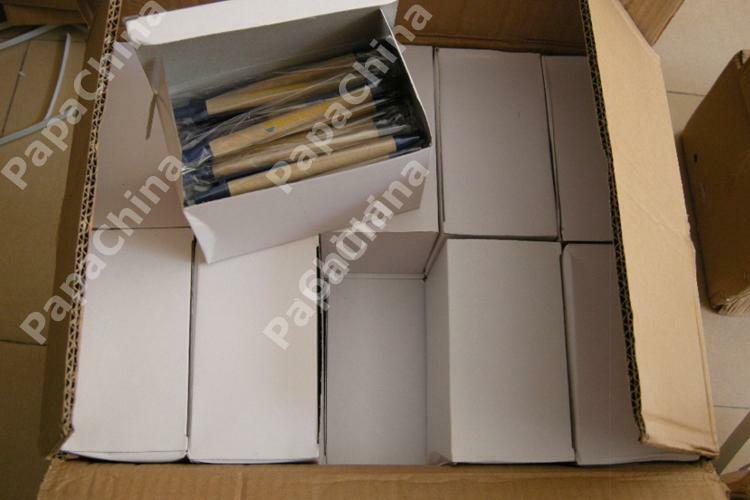 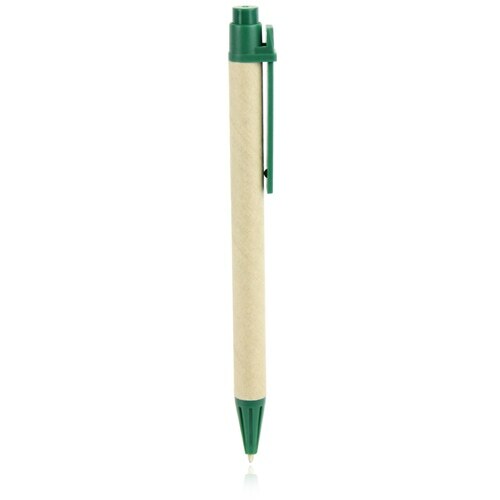 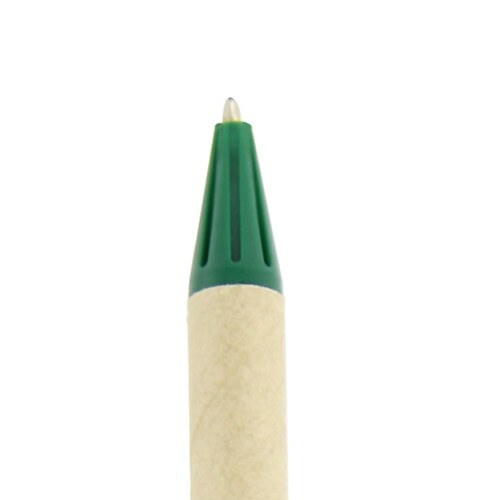 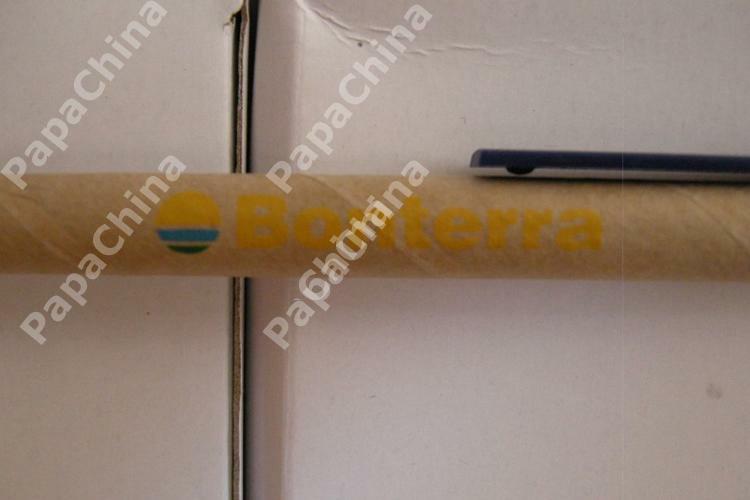 Write with style with the eco-friendly custom recycled cardboard pen, which has a ballpoint inserted into it. 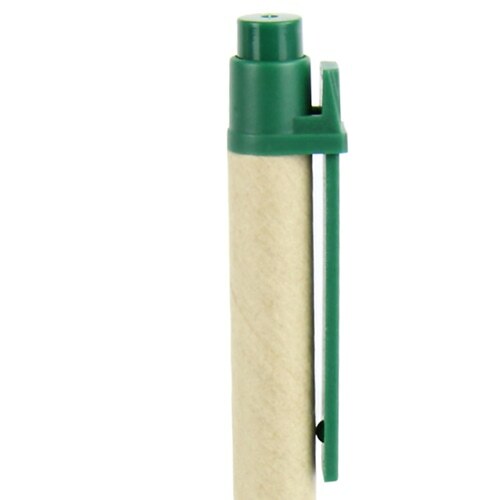 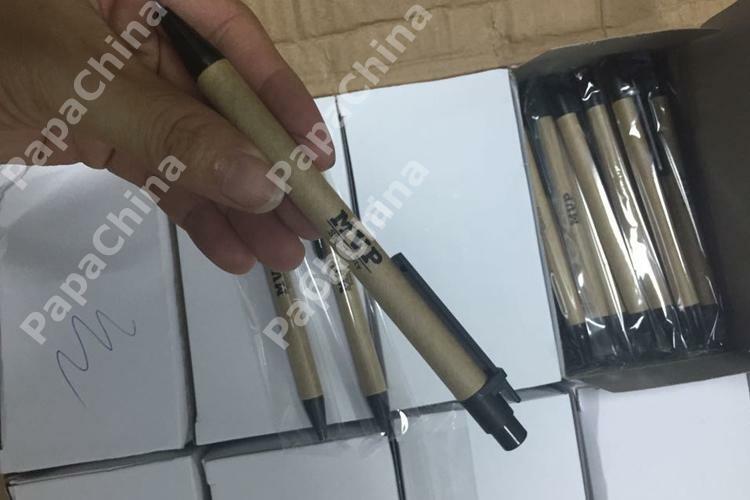 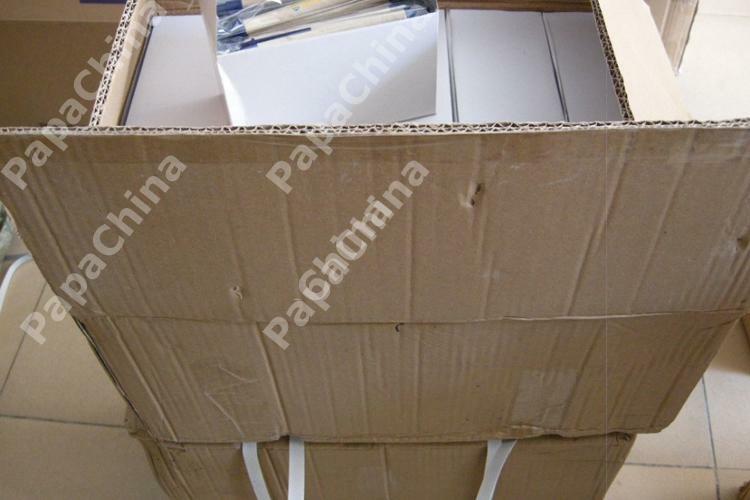 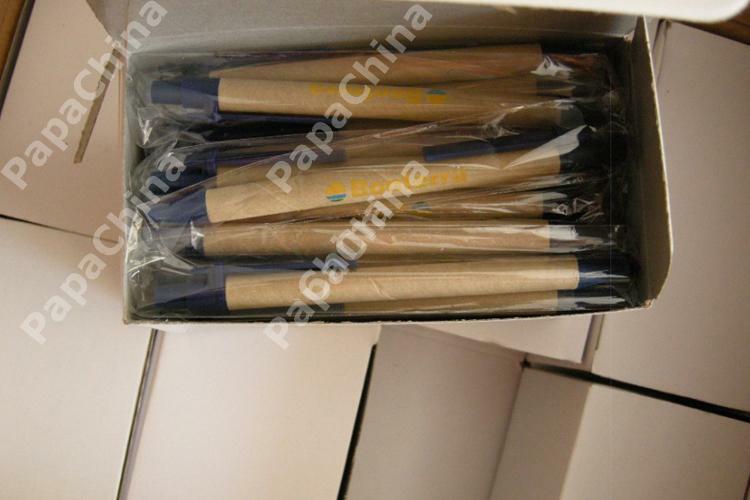 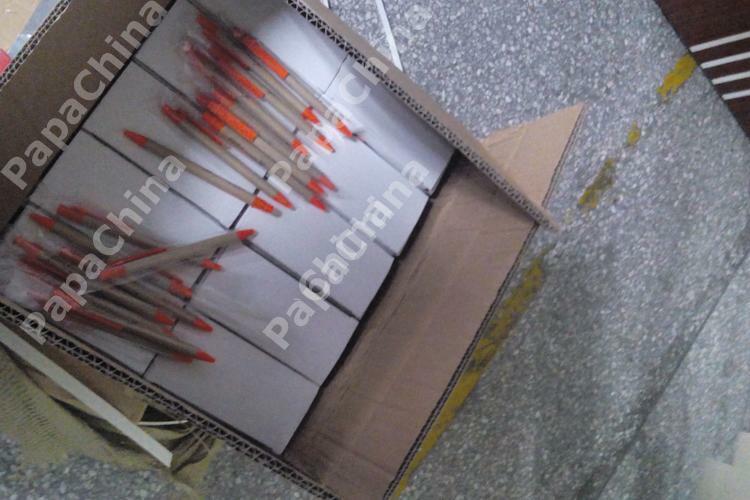 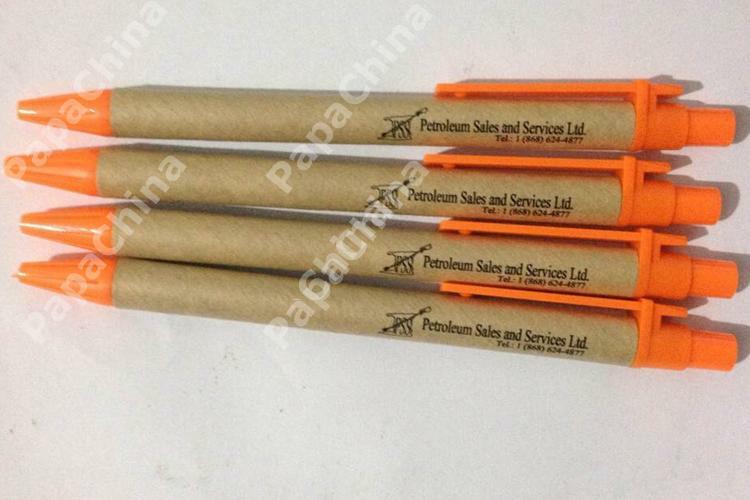 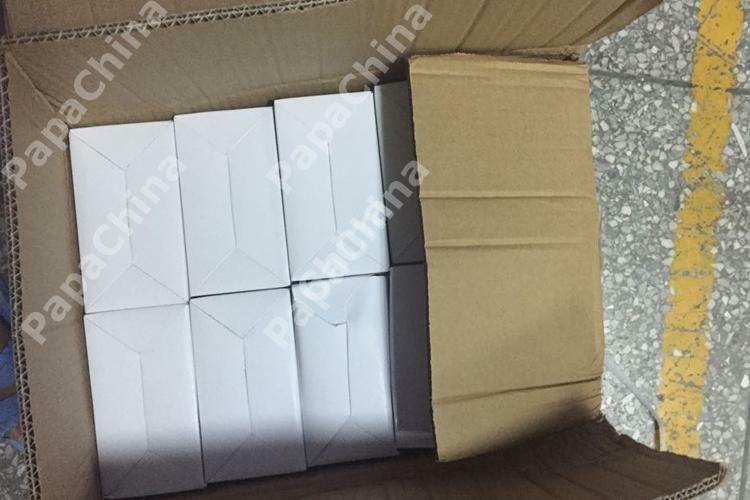 The pen barrel area can be imprinted and it is made of recycled cardboard or paper with matching grip and clip with plastic push button. 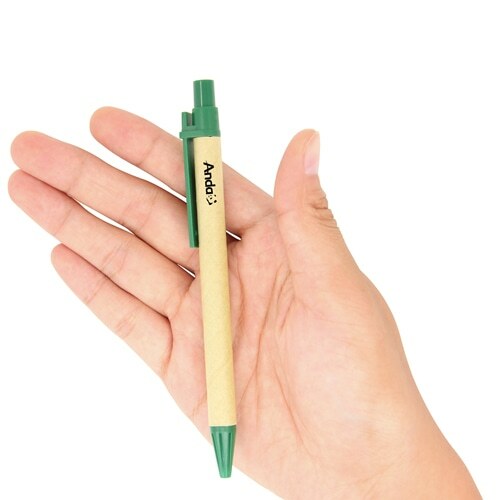 It looks elegant when kept in the pocket with plastic pocket clip. 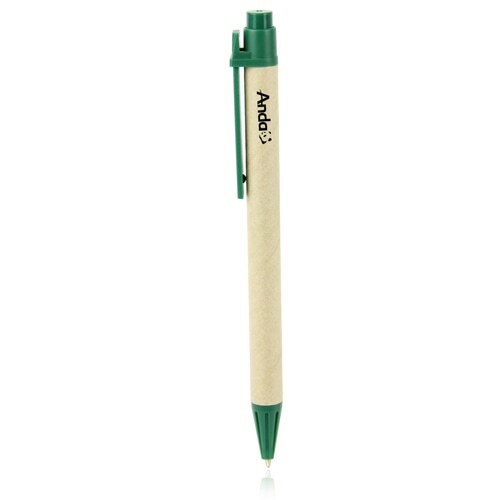 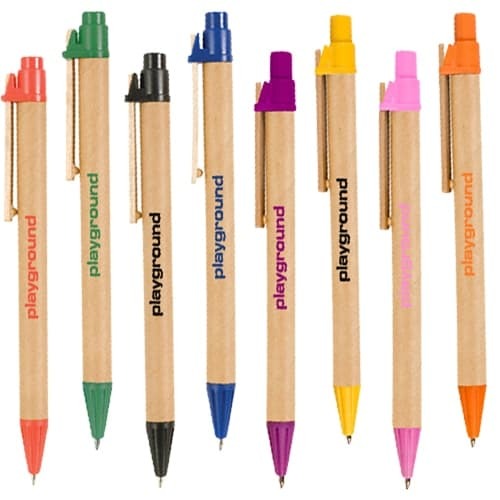 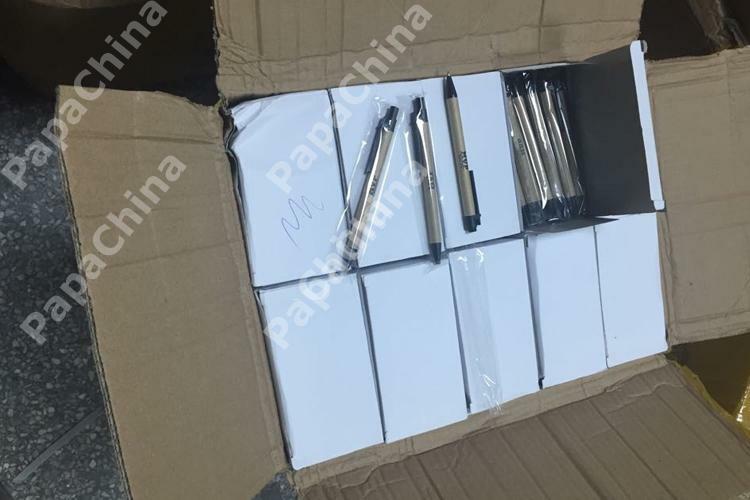 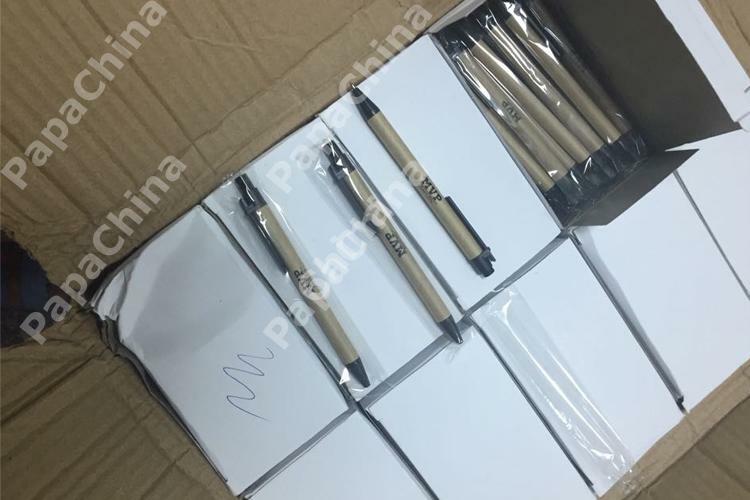 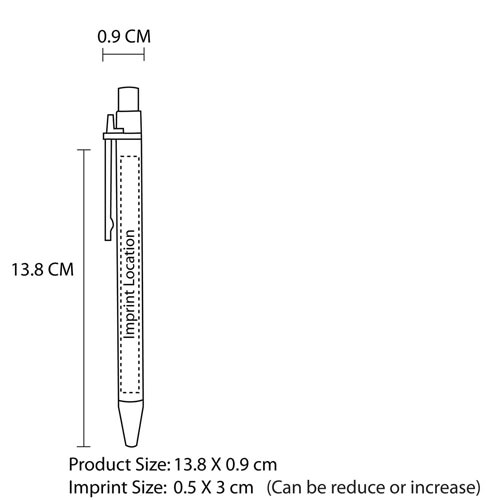 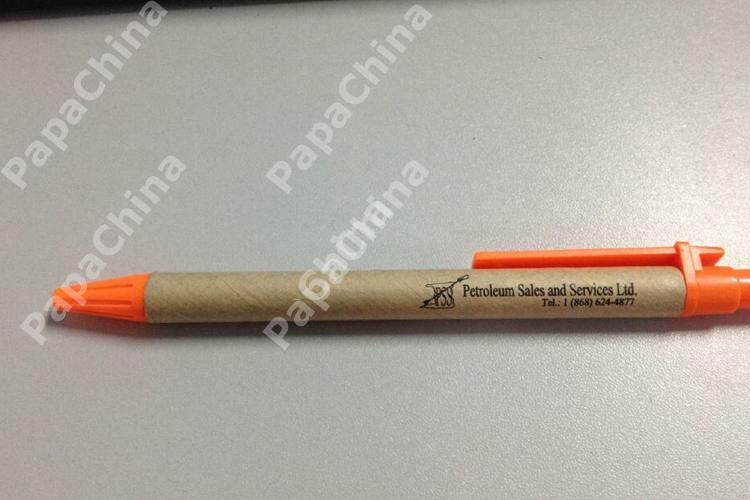 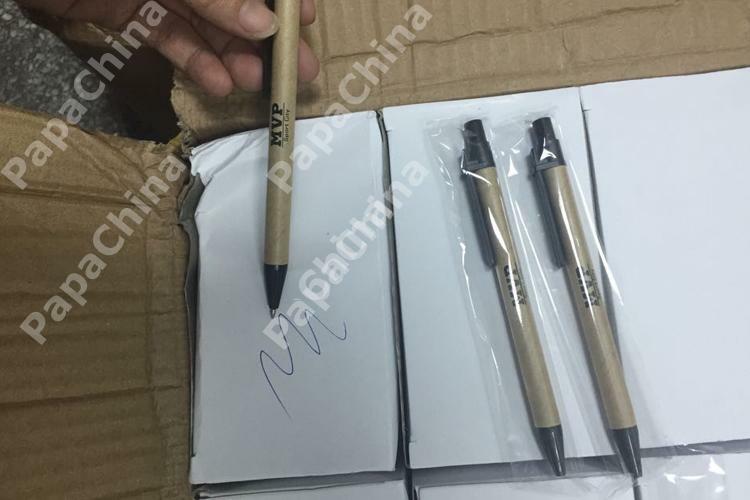 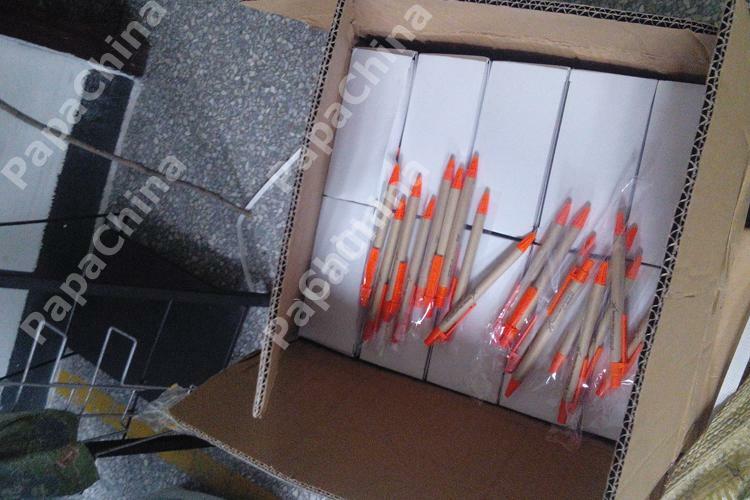 These pens are lightweight and spread brand awareness of your organization when you have decided to propagate environment friendly messages to your customers and clients.